Turtle Lake in Discovery Bay, Providenciales. The canals of Discovery Bay, Providenciales. 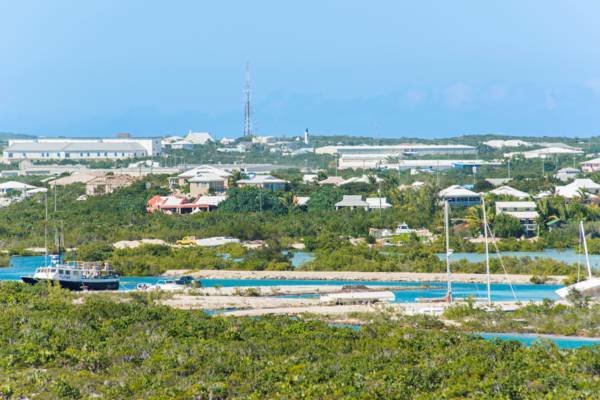 Occupying an area of about 1.4 square miles (3.5 square km), Discovery Bay is found on the central south coast of Providenciales. Bordering this area are the regions of Downtown, Cooper Jack, and Five Cays. Discovery Bay is mixed-use, with the interior consisting mainly of light industrial and commercial, and private homes and rental villas in the south-eastern half. A manmade system of dredged canals weaves through the residential area. These lead out to the south coast Caicos Banks at South Side Marina. Discovery Bay is one of the few coastal regions on Providenciales where no decent beach is found. The closest beach is the tidally-dependent Cooper Jack Bay Beach. Christened after the nearby Loyalist-era plantation of Cheshire Hall, a complex network of shallow ponds and mangrove waterways borders the west side of Discovery Bay. Due to the limited actual dry real estate in these wetlands, the creek area is largely undeveloped. The site could be a decent kayaking and paddle boarding location, however, the surrounding development greatly detracts from the experience. In the past, the wetlands of Cheshire Hall Creek extended far more northwest inland, and in fact at one time almost split Providenciales in half. Tidal saline mud flood plains, previously found where Downtown now stands, continued close to the eastern end of what is now Blue Hills. Old maps of Providenciales tend to reflect this, and portray the island a bit differently than on the modern surveys.